The mid terms have devastated the President’s concentration, with the historic turn out and historic losses causing the leader of the free world to shut himself off into his office, showing just passive aggressive anger at many who work in his inner circle, to the point where they had to make a special “Policy Time” to force him to do his work. This led the Colbert staff to take this strange and childish descriptor and take it to its parodic conclusion: a parody of Pendleton Ward’s beloved Cartoon Network superhit, Adventure Time. 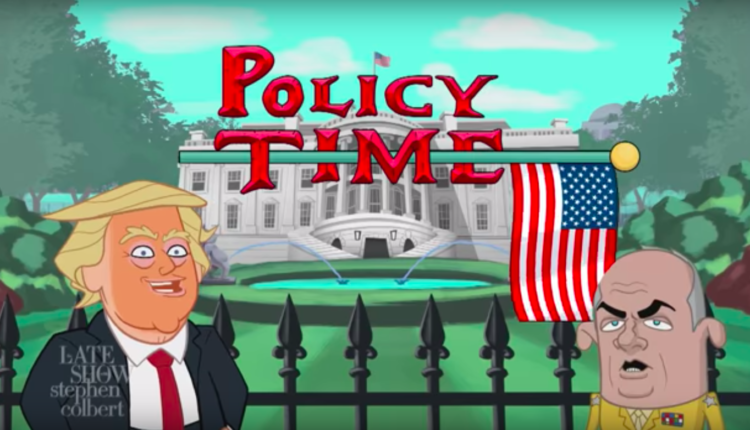 Adventure Time shows General Kelly in the Jake the Dog role, and Donald Trump in the Finn the Human part (Kelly the Dog and Trump the President in… Policy Time. 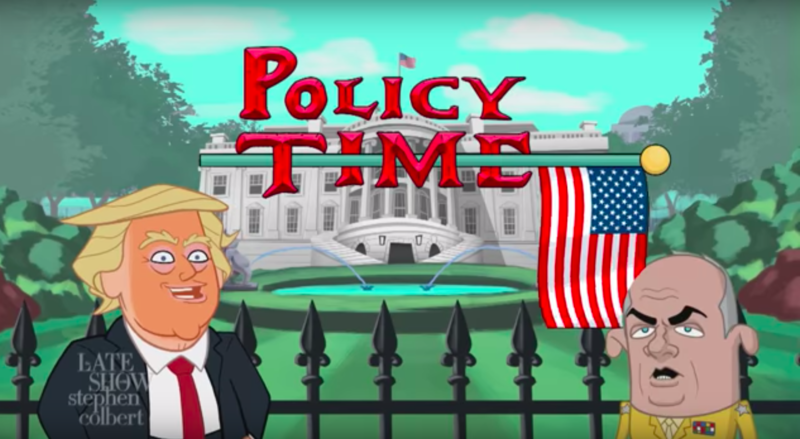 The video then cuts to a clip from “Slumber Party Panic” from the actual Adventure Time show, and in lieu of any satire of the president, the president instead takes a big old bite from a donut. Which is fair. The president is just a destructive goon. Even during policy time, as Mr. Muffin tries to explain the complex Nato agreements which the president flaunts, Trump just takes a big old chomp from a massive donut. What do you think of the parody? Let us know in the comments or on Twitter at @WhatsTrending.